Dr. Yarden Goldstein’s dental clinic is the first and most experienced clinic in Israel specializing in safe replacement of amalgam fillings (1996). All “silver” fillings are amalgam fillings that contain 50% mercury. 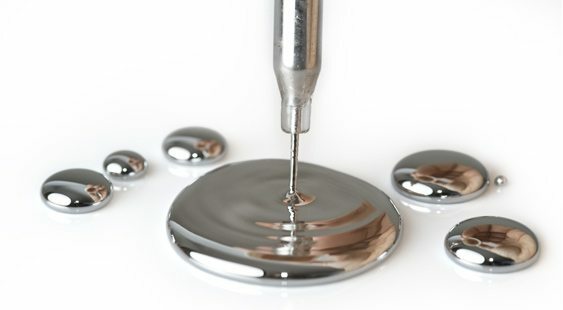 Mercury is a heavy metal that is harmful to our health and to the environment. It has been proven that mercury vapor are continuously released from amalgam fillings, and are inhaled and accumulated in body tissues. Health problems that can occur as a result of chronic exposure to mercury include chronic fatigue, memory loss, mental disorders, ADHD, damage to the digestive and immune systems, thyroid problems, allergies, asthma, and more. Here is more information about the cumulative damage caused by mercury accumulation. Pregnant women, children under the age of 6, and individuals with autoimmune diseases or genetic tendencies are more susceptible to hazards associated with mercury exposure. For more information about the genetic test which identifies elevated sensitivity to mercury accumulation, click here. In recent years, there has been a rise in awareness of damages related to the use of amalgam. Several countries have restricted or completely forbidden the use of amalgam in fillings, including Norway, Sweden, Denmark, Estonia, Finland, Italy, Japan, Switzerland, France, Austria, Canada, and Germany. However, amalgam is still widely being used as a reconstructive material in fillings, in Israel and the US among others. How much mercury is released from the filling? High levels of mercury are released from amalgam during both the cavity filling process and its removal, as well as continuously while eating or brushing, drinking hot beverages, teeth whitening procedures and as a result of teeth grinding. The exposure level is correlated to the number of fillings. Removal of an amalgam filling without proper safety measures can cause more harm than good, both to the patient and the staff, that is also exposed to the toxic fumes. The World Health Organization WHO, reported (2003) that dental amalgam is a significant source of exposure to mercury, with the daily absorption from amalgam fillings estimated to be between 1 and 27 micrograms per day. Later (2005), the same organization published that there is no threshold below which mercury is safe. What are the existing alternatives to amalgam fillings? Following the removal of an amalgam filling, the cavity that is now empty must be refilled. In the past, there had been concerns regarding the durability of composite fillings (“white fillings”). However, with ongoing development and research of dental materials, we now know that these fillings are extremely resilient, compared to amalgam. In addition, in our clinic we use only the most innovative composites that do not release the controversial material Bisphenol A (BPA), as shown in various lab tests, including an independent testing carried out by us in a private lab. Additional options for filling the cavity include laboratory porcelain reconstructions, as well as material made of glass ionomers. How is the replacement process done? The replacement process in our clinic is carried out using a special protocol, that includes the use of innovative equipment found uniquely in our office, for complete protection of the patient’s health. The procedure requires local anesthesia, in a similar manner to a regular filling, and the material is replaced with a safe alternative. The amount of mercury we are exposed to by an amalgam fillings is seven times greater than that found in fish and seafood. The brain tends to accumulate more mercury than other organs, 10 times the amount measured in blood. Chronic and prolonged exposure to mercury is associated with a wide range of diseases including multiple sclerosis, Alzheimer’s disease, Parkinson’s disease, and ALS (some studies indicate that mercury is particularly absorbed in spinal cord nerve cells). Metal mercury, like that found in amalgam fillings, releases mercury vapor that are absorbed by the tissues of the mouth and nose. Chewing gum for 5 minutes increases mercury vapor by threefold. Drinking hot bavarages also increases the release of mercury vapor. Mercury inhibits production of progesterone in the ovaries – Decrease in progesterone levels is most common in women with 10 or more amalgam fillings. Mercury disrupts the function of the immune system – impairs the activity of macrophages and neutrophils and prevents the secretion of cytokines. Since it disrupts the function of white blood cells, it exposes the body to infections and infectious diseases. Mercury causes damage to the body’s cells by several mechanisms: it significantly increases the production of free radicals in cells, lipid oxidation in cell membranes (by adhering to the antioxidants glutathione and SOD), and interferes with protein production.